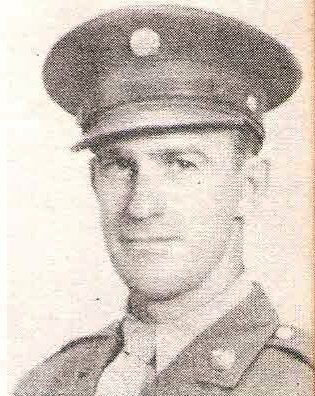 Pfc Hoyt Thedford Brown, son of Mr. and Mrs. Hoyt Brown, Olney, husband of June Gunther, attended Olney High. Entered ASC, 1942, trained in Cal., Mo. and S.C. Served in ETO. Awarded Victory, CM and 5 Stars. Discharged in 1945.